Questar offers a line of fully refurbished, semi-automatic wire bonding and pull test equipment, from such original manufacturing companies as K&S™, Orthodyne™ and Unitek™. Below are some of the semi-automatic wire bonders and pull testers we typically have in stock. 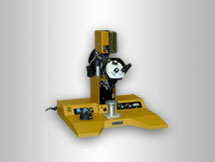 Semi-automatic gold ball or aluminum wedge bonders, ideal for engineering development and small production volumes. 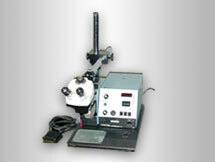 Fully refurbished with microscope, operating manual and 90-day parts exchange warranty. Available options include a spot-light targeting system (shown). Workholders are quoted separately. Training and installation support are available. Full-featured semi-automatic gold ball, or aluminum wedge bonders. Designed for engineering, prototype, and small volume production. Complete with microscope, manual, and 90-day parts exchange warranty. 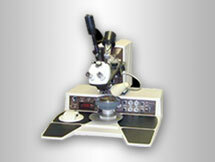 Fully refurbished with microscope, operating manual and 90-day parts exchange warranty. Destruct or non-destruct mode. Data recorder and printer are available. Workholders are quoted separately. Wedge bonder for .004” to .020” aluminum wire. 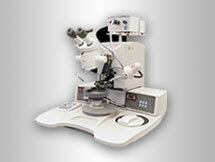 Fully refurbished with microscope, operating manual and 90-day parts exchange warranty. Workholders are quoted separately. Learn how Questar can help you meet your wire bonding needs.